Dr. Pema Choephyel joined the Fund in July 2010. As the bridge between grant seekers and the Fund’s Management Board, he has responsibility for strategy development, program design and monitoring, outreach, human resource development. Over the past 22 years, Dr. Pema Choephyel’s career has covered environmental conservation, research in renewable natural resources and commercial finance. 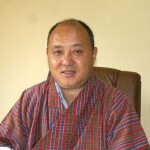 He began his career with the Royal Civil Service Commission; as a civil servant he held various positions as the Principal at Royal Veterinary Institute, Department of Animal Husbandry, Pedagogic Head (VP) at the Natural Resources Training Institute, Chief Research Officer, Chief Extension Officer, Director, Council of RNR Research of Bhutan and recently as an Advisor to the Bhutan Development Finance Corporation Limited. He has held various professional membership such as the Permanent Representative of World Meteorology Organization (2004-2007), member of the Project Steering Committee of various area Development Projects in Bhutan. (1997-2007), Board Director for Bhutan Development Finance Corporation Limited (2002-2007), Druk Seed Corporation, (2001-2007), Bhutan Agro Industry Limited (2001-2003), and Food Corporation of Bhutan, (2002-2003), He was also the Chairman of Audit Committee for BDFCL (2004-2007) and a member of Good Governance Plus (2006). A graduate of Bombay Veterinary College, Bombay, India Dr. Pema Choephyel received his master’s degree in Rural Development and Communication from Lincoln University, New Zealand in 1991. He is from Mongar and has three sons and a daughter. Mr. Ugyen Lhendup joined BTFEC in January 2016 as the Chief Program Officer (CPO). His primary responsibility is to facilitate an efficient and effective management of BTFEC grants, for successful realization of the organization’s strategic goals. As the program chief, the CPO also represents the organization in relevant public forums and programs to increase the visibility and effectiveness of BTFEC. With an academic background in Social Science, he served as a teacher for more than ten years. He joined the Royal Society for Protection of Nature (RSPN), where he executed numerous environmental related projects and worked closely with schools, monastic institutions and local communities. He is a member representatives on numerous environmental related committees of the Royal Government and is also a member of the Country Coordinator of Bhutan Water Partnership. Mr. Ugyen holds a Masters Degree in “Applied Community Change & Conservation” from the Future Generations Graduate School, West Virginia, USA. He is from Lango, Paro. Singye Dorji is the Chief Financial Officer since 1st July 2017. He has been selected through open competition process. Prior to his current position he has served as Trust Fund’s Finance Officer since 1997 till 2010. Thereafter he continued to serve as the Acting Chief Financial Officer (ACFO) for more than seven years. He looks after all financial operations, including accounting, budgeting, monitoring investments, and maintaining the Fund’s tax-exempt status. He also oversees the day-to-day administration of the organisation. Singye is also member secretary to the Board’s asset management committee. Over a career of 28 years, Singye has gained valuable financial and administrative experience. Prior to joining the Fund, he served in the Royal Court of Justice in Thimphu as deputy chief accountant during 1989 to 1995. During 1996 to 1997, he served as deputy chief accountant in the secretariat of His Majesty the King. Singye received his MBA in international business in 2007 from Escuela De Alta Direccion Y Administracion in Barcelona, Spain. He is from Wongmey Nang, Trashi Yangtse. Sonam Wangmo joined the Trust Fund in 2001 and heads the Administration Unit as Administration and HR officer, managing the overall office operations, human resources administration, and procurement services besides assisting with project assignments, management board and internal audit services. Sonam is a graduate from GCG, Punjab University and holds a Master’s Degree in Public Policy and Administration with concentration in Leadership from the University of Texas at El Paso (UTEP), United States. Sonam is from Samkhar, Trashigang. Dorji joined the Fund in 2006 as an assistant program officer. He is now the program officer and ensures the smooth operations of the entire grants program, assists program colleagues with proposal review, planning and coordination, management and evaluation of environmental grant activities in the country. 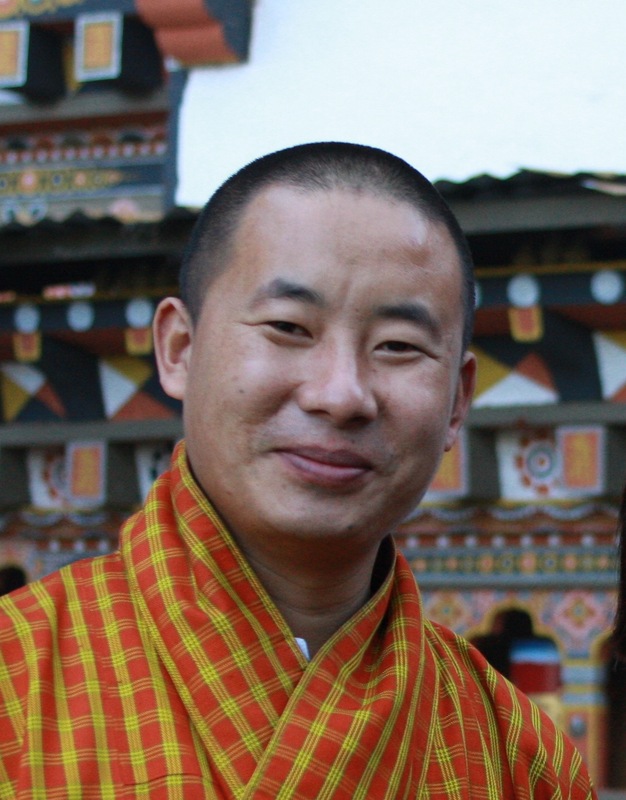 Dorji graduated from Sherubtse College in Bhutan in 2005, with a first division degree in geography (Honors). As an undergraduate, he was local project coordinator for the largest book in the world project, which produced “Bhutan, A Visual Odyssey Across the Last Himalayan Kingdom”. During 2002 to 2005, he was also project director of the Friendly Planet-funded school photography clubs at Sherubtse College and five schools throughout the country.As a volunteer, Dorji provided valuable assistance in organizing Bhutan’s participation as the feature of the 42nd Smithsonian Folklife Festival in Washington, DC, in June and July 2008. 150 artisans, farmers, dancers, officials, and monks presented Bhutan’s unique cultural heritage at its largest and most successful event organised outside the country. Further, Dorji has been actively serving on technical committees in Bhutan pertaining to water, climate change, human-wildlife conflicts, and solid waste management and biodiversity related projects. He has been volunteering for forest fire management, Kuzoo Radio and other areas as well. He received his Masters of Business Administration(specialization in Project Management) degree in 2013 from the Australian National University. He is from Phongmey, Trashigang. Mr. Rabi C Dahal is the Communications Officer. He joined the Fund in July 2017. As a communication officer he is responsible for successful implementation of the Fund’s communication strategy; coordinate fund raising efforts and support fundraising activities; build the Fund’s position in the fields relevant to its strategic areas of interest; produce reports; undertake advocacy activities and publications. Rabi has over 11 years of experience in media and communication. He got introduced to journalism at a time when Bhutan was preparing for the eventual advent of democracy, bequeathed upon by His Majesty the Fourth Druk Gyalpo, Jigme Singye Wangchuck. All his journalistic working life has been spent with the Bhutan Observer, joining when the paper founded in 2006. Initially employed as an IT officer, due to his interest in reporting and writing, he later became a reporter. He covered social issues, both urban and rural, along with education and the local economy so as to bring about positive social changes, big and small. In 2010, he received national media award for the “Most Valuable Story of the Year”, otherwise called the “GNH Story of the Year” for his news article “Ungar Diary”. Rabi held various professional and voluntary posts. He served as a board of director for Journalists’ Association of Bhutan (2014-2017); he headed editorial board of Tashi delek, Drukair’s in-flight magazine (2015-2017); sat on the board of editors for Hindu Dharma Samudaya of Bhutan’s newsletter and publications; and served as Executive Committee member and Secretary for Bhutan-Australia Alumni Association (2015-2017). With a distinction in Master of Communication from Edith Cowen University, Australia, and first-class in Bachelor of Computer Applications from Madras University, his background is rather varied and interdisciplinary. He was involved in framing media guidelines on reporting for children and women. In the fall semester of 2015, he taught a module on Print Journalism to the students at Royal Thimphu College. Yeshey Peldon serves as the Finance Officer at the Trust Fund. She joined the Fund in 2010 as Assistant Finance Officer. She assists the Chief Financial Officer in overall management of BTFEC financial operations. Before joining the Fund, Yeshey worked for a private company as Assistant Finance Officer for three and half years. She holds a Masters Degree in Professional Accounting from Murdoch University, Western Australia, and Bachelors Degree in Commerce from Darjeeling Government College. Yeshey is from Changchena, Punakha. Mr. Kuenzang Tshering joined BTFEC in January 2018 as the Monitoring and Evaluation Officer (M&EO). Under the overall guidance of the BTFEC’s Operational Manual and Strategic Plan, and direct supervision of the Director, the M&E Officer is responsible for the monitoring, and ensuring high quality and timely inputs, and for ensuring that the organization’s program maintains its strategic vision and that its activities result in the achievement of its intended outcomes in a cost effective and timely manner. Mr. Kuenzang holds MSc in Environmental Science and Technology from Netherlands. He has conducted ecological field researches in Tanzania, Kenya, Nepal and Canada when working at international organizations. He is also a member for American Evaluation Association. Kuenzang is from Tamshing, Bumthang. Rinchen Wangmo joined BTFEC in October 2014 as Assistant Finance Officer. She now serves as the Assistant Procurement Officer with the Administration Unit. She is a graduate of Business Administration specialized in Accounting from the Gedu College of Business Studies (class of 2012). Before joining the Trust Fund, She worked for private company for two years. Rinchen is from Kurtoe, Lhuentse. Phuntsho Choden joined the Trust Fund as Assistant Program Officer in December 2014, as primary support to the program division in all business matters related to program management. Phuntsho is a graduate from Sherubtse College, Kanglung, Bhutan in 2013. Phuntsho is from Galing, Trashigang. 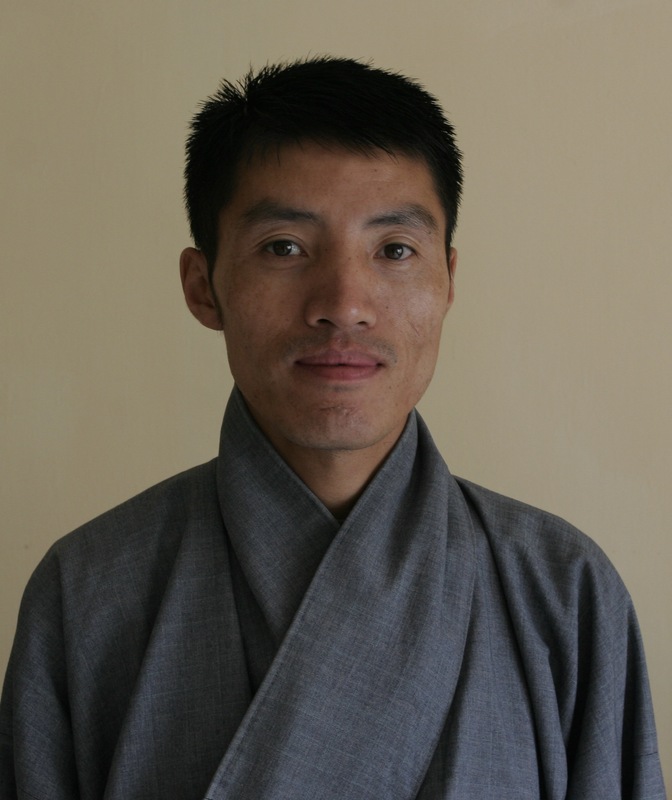 Kinzang Lhamo joined BTFEC in August 2014 as Personal Assistant to the Director. A graduate of Bachelors in Business Administration from the Institute of Management Studies, Dehra Dun, India in 2008, Kinzang also worked for Puni Gaki Handicraft, a project under Sustainable Development Secretariat for two years and with the Handicraft Association of Bhutan for more than two years, before joining the Trust Fund. Kinzang is from Nanong, Pemagatshel. Rinchen Dema joined the Trust Fund in January 2018 as the Assistant Finance Officer (AFO). As the AFO, she is responsible for furthering the work of the Finance Division by ensuring regular and accurate recording of financial transactions, maintaining day-to-day financial records, seeing that payment obligations are met in a timely manner; and providing support to the Program Division for timely disbursement of grant funds. Graduated in July 2017, Rinchen holds a Bachelors Degree in Commerce from Gaeddu College of Business Studies, majoring in Finance. Rinchen is from Chongshing, Pemagatshel. Pema Wangmo joined the Fund in April 2010 as Office Assistant. Before joining the Fund, she worked for a private business firm for three years. She completed her higher education from Rinchen High School in 2007. Pema is from Bidung, Trashigang. Thinley Wangdi joined BTFEC in September 2014 as Data Manager, with primary responsibility of maintaining and facilitating efficient ICT services. Prior to joining BTFEC, he worked at Bhutan Telecom as Network Administrator for two and half years and as Technical Head at USD Dot Com for one year. Thinley is a recipient of the Outstanding Leadership Award for the year 2013 from Royal Thimphu College, where he received his Bachelors in Computer Applications. Thinley is from Kanglung, Trashigang. Pasang joined the Fund in December 2004. He had previously worked with Jigme Singye Wangchuck National Park for four years before joining the fund. Pasang is from Jurmey, Mongar. Mani joined the Trust Fund in January 2018. He previously worked at Bhutan Brewery Pvt. Ltd and CSO office. He completed Class X from Wangchhu Middle Secondary School, Chhukha in 2007.